Pocket Kilo II w/ black g10 over a red pinstripe. It is SFT 1/8" O1 Steel. Asking $230 with sheath. The Pocket Kilo II was used to skin a rabbit and take the legs off. I did strop it back to sharp afterward. There is one tiny dot of patina from this toward the tip. All sales are via Paypal Goods. Not interested in any trades at this time. I am only showing one picture to save on clutter in the thread. I will take more pictures for serious inquiries. All knives come with their certificate of authenticity. All knives drastically reduced. 200.00 each..Last reduction. It's still here for you mist. So I noticed. I landed an unexpected grail Friday, but I am selling a few others in an effort to pick this one up. If anyone has a 24/7 they may part with, please PM me. Thanks! 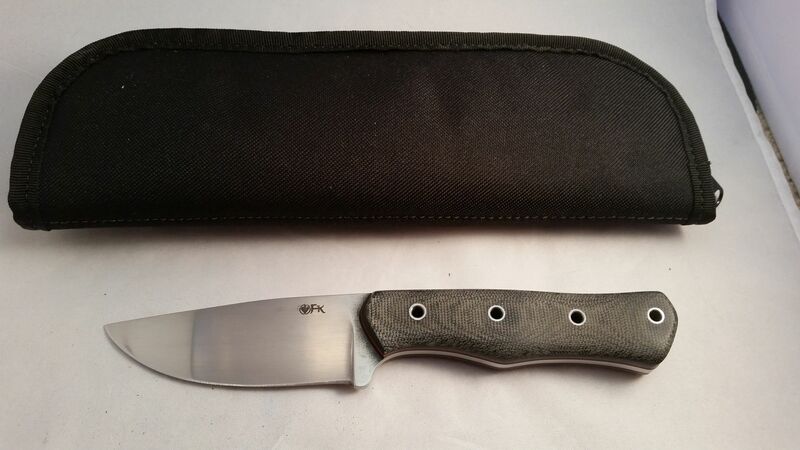 All knives drastically reduced. 200.00 each, or take all 5 for $900.00...Last reduction. 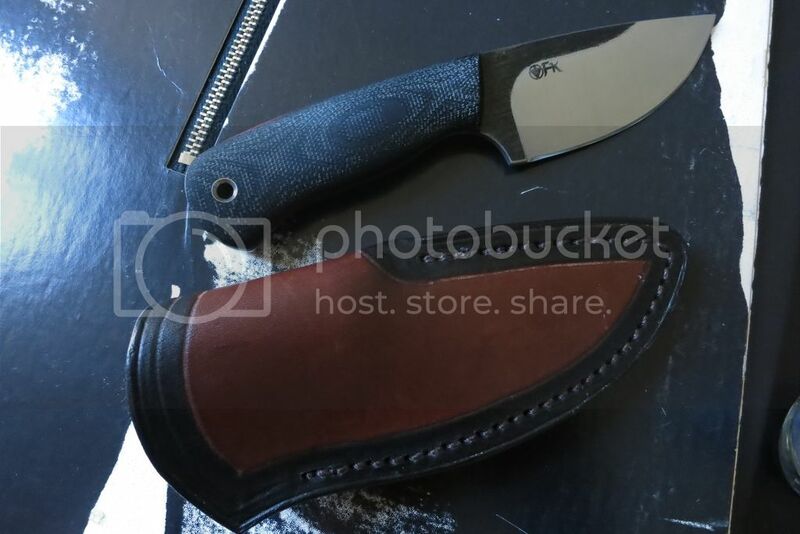 Selling my Fletcher Knives Delta 5 #17. Thanks for looking! Fletcher Pro 6-5 Desert Tan CPM154 Tapered Tang with File Work. 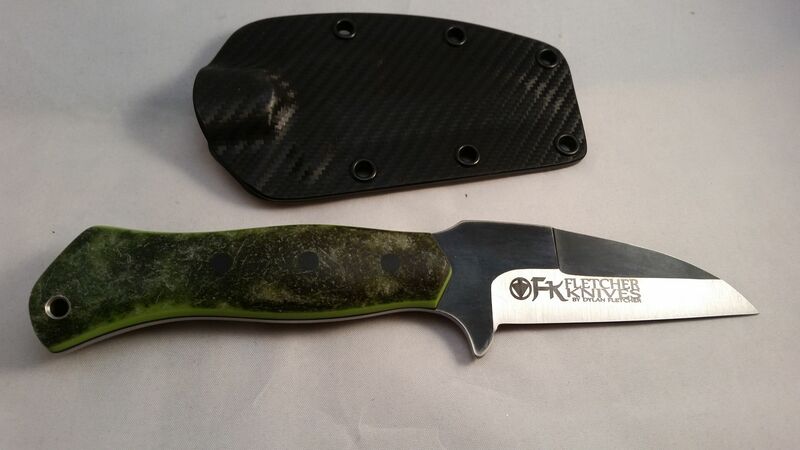 Knife is unused condition. $SOLD Price includes Priority mail shipping with insurance. Fletcher Pro 6-5 Desert Tan CPM154 Tapered Tang with File Work. 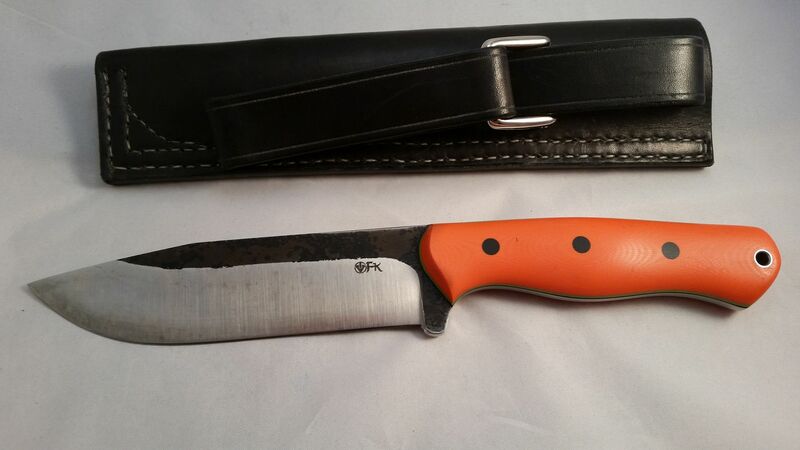 Knife is unused condition. $325 net to me. Price includes Priority mail shipping with insurance. 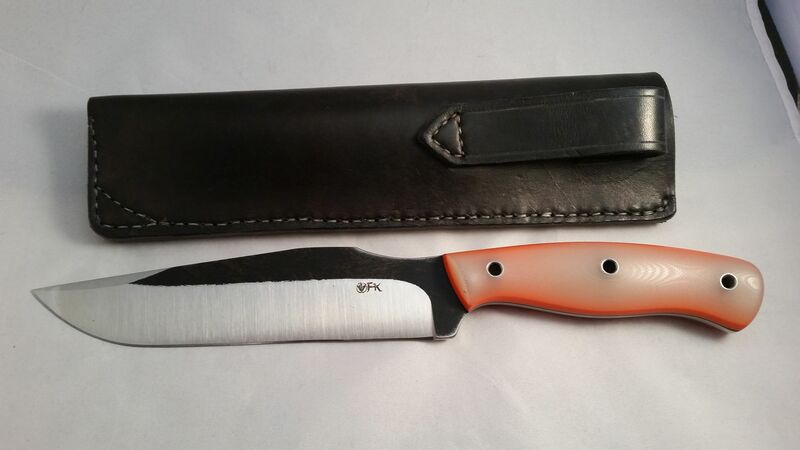 Cheapest Fletcher you'll ever find..
BOXL sheath for sale, used, knife NOT included. It has a piece of shockcord attached to the leather handle keeper to keep it out of the way when drawing and resheathing. Also with a firesteel loop. Overall length is about 9.5" and about 2.5" wide (2.75" at the little point). In good but used condition. $40 paypal, USPS Priority, USA only. Wow! 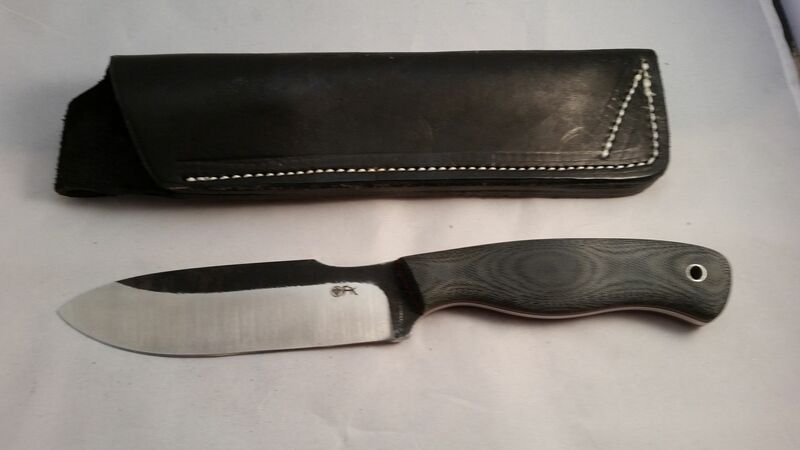 Cool sheath and killer price!